The day of shooting this video, Brooke had strolled into the MoHDI gallery to check out some of the work. It didn’t take too long to realize that Brooke would be super great to interview and so that’s what I did. This series of three interviews is a lot of fun. 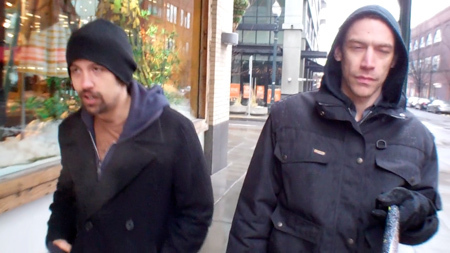 There are still some growing pains when it comes to the walking interviews but, there is an improvement. 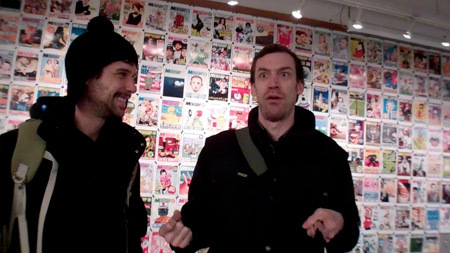 Watch as Max and I cruise around NW Portland and venture into Powell’s bookstore, eventually making it to the current Portland Mercury cover exhibit where 10 years of Mercury covers are on display. After watching these videos, I recommend you go check out the Mercury exhibit in person, it’s really amazing. After creating the new pole camera, I was fortunate enough to find someone to test the thing out with. The following set of interviews is an amazing perspective of a complex individual. If you are not already aware of his success, you will soon be learning more about Shawn Fleek, especially if you watch the following videos. 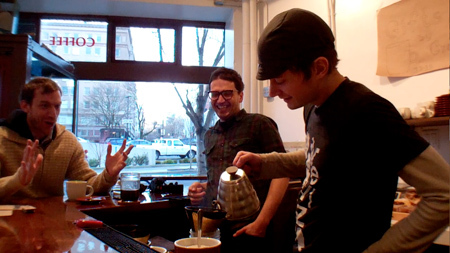 Last year I did a series of interviews with Joel Domreis and David Evans from Courier Coffee. And the exciting second interview. 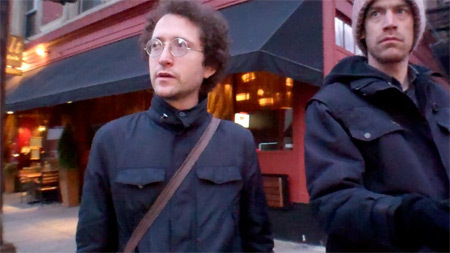 A series of interviews with Justin Lentz and Shawn Alan Boomer Flack. In interview #2 we learn the how “Boomer” got his name. I soon realize how it’s kind of difficult to interview two people at the same time. So I just interview Justin. He probably has some more links too. I’ll post them eventually. Shortly after the interview we bust open the Lego Mindstorm NXT kit that I was graciously given, we proceed to spend the next 10 hours or so playing with the kit. We build several useful and innovative robots including one that spins my camera around slowly. We took the following 360 shots of the gallery. Posted on December 17, 2010 January 7, 2015 Author Categories Boring Conversations with Interesting PeopleLeave a comment on Stephan Williams and stuff. The much awaited second interview with Nathan Johnson. If you missed the first interview you can watch it here!